SINGAPORE - It began as a dispute over potted plants in the common corridor. 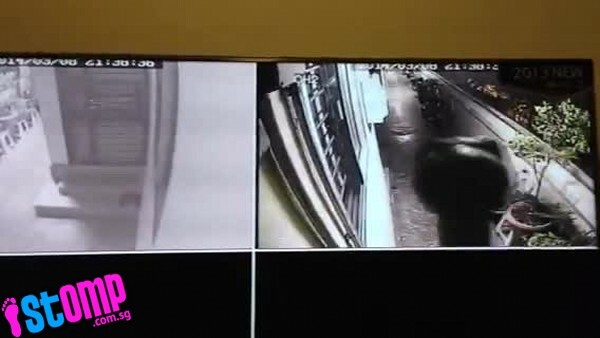 But it led to explosive rage when a man smashed his neighbour's two closed-circuit television (CCTV) cameras, which he said were installed to record his every move along the corridor. 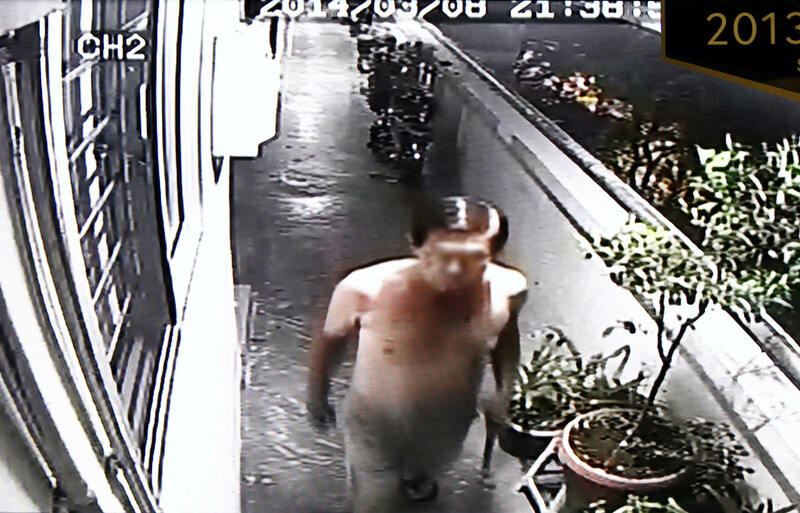 The incident happened two Saturdays ago on March 8, when the 60-year-old man, who gave his name only as Mr Koh, used a hammer to smash his neighbour's CCTV cameras. The neighbour, who gave his name as Mr Richard, told The New Paper that he has made a police report and submitted the CCTV footage to them. Mr Koh, a lorry driver, knew that what he did was a crime. But for him, it was because of an accumulation of frustration that had built up over the last six months. He said he had lived with the cameras for four months. He had even complained to the town council six times about the invasion of privacy. He finally decided to take matters into his own hands. 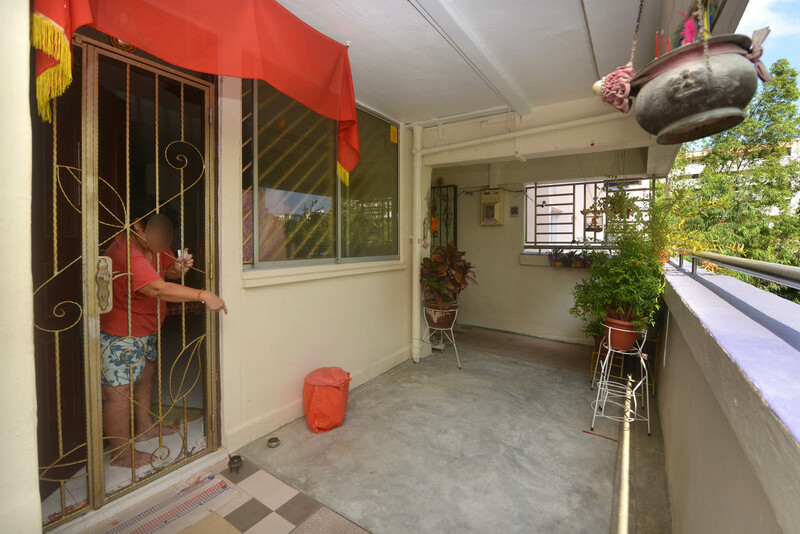 It all began last September, when Mr Koh's previous neighbour at Block 137, Yishun Ring Road, moved out after selling his fifth-storey flat. 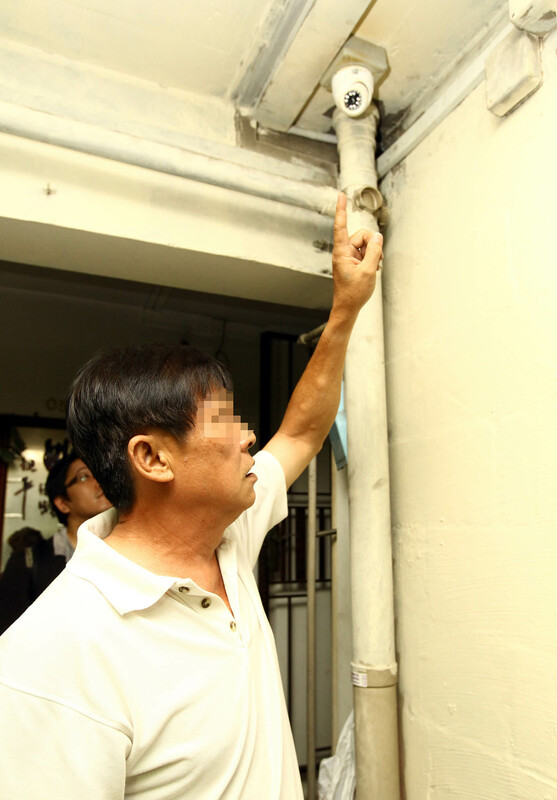 According to him, the new owner of the three-room flat immediately took issue with potted plants at the corridor. 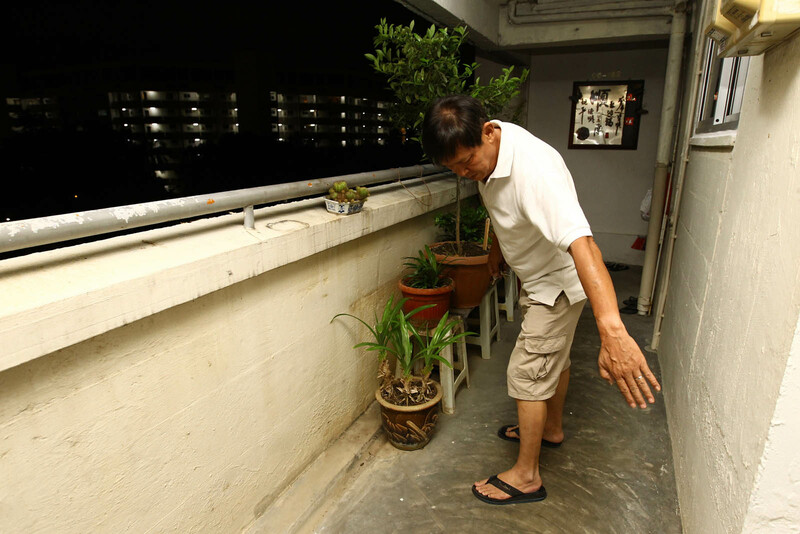 The row of about 10 plants starts at Mr Koh's flat and extends along the common corridor to outside the windows of Mr Richard's flat. Another few pots of plants and a bicycle belonging to another neighbour left no space for Mr Richard's own items. Mr Richard, 36, an optometrist, told TNP: "I believe I'm entitled to my own personal space. If there is no space outside my flat, do I put my pots on another floor instead? That's quite ridiculous, isn't it?" Upon his request, the other neighbour cleared some of his items to make space. But Mr Koh did not. 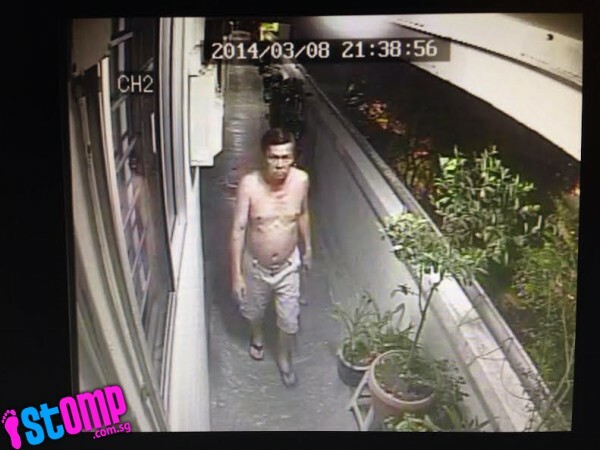 Mr Koh argued that the common corridor was for public use and he was not obliged to move his plants for Mr Richard. 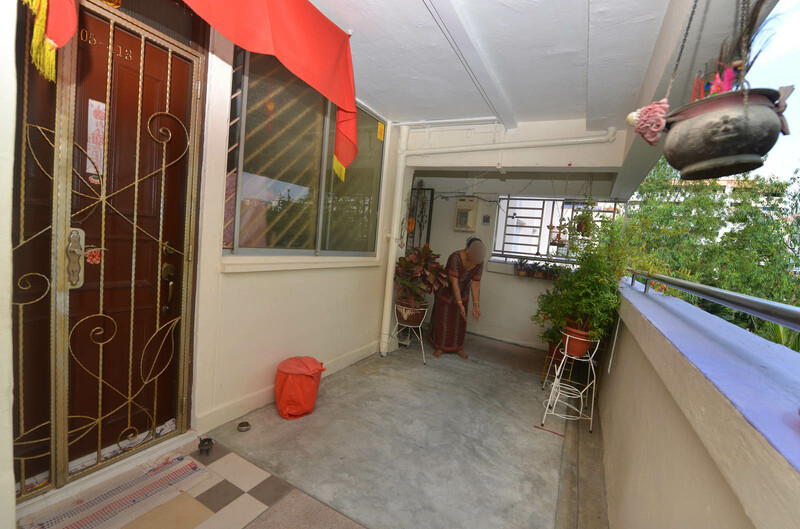 Seeing that his neighbour was not being cooperative, Mr Richard made a complaint to the Nee Soon Town Council, which instructed Mr Koh to remove some of his pots, which he did. Two months later, while his flat was being renovated, Mr Richard got a call from his contractor telling him that one of his windows facing the corridor had been smashed. "I suspected that it was my neighbour who did it because he was unhappy with the complaint that I had filed against him," said Mr Richard. He reported the incident to the police. Mr Koh denied smashing the window, adding: "I already moved my plants back by a metre and there is ample space for his own use, but he will just continue to harass me about invading his personal space. "I've been living here for 11 years and I only had problems after he moved in." 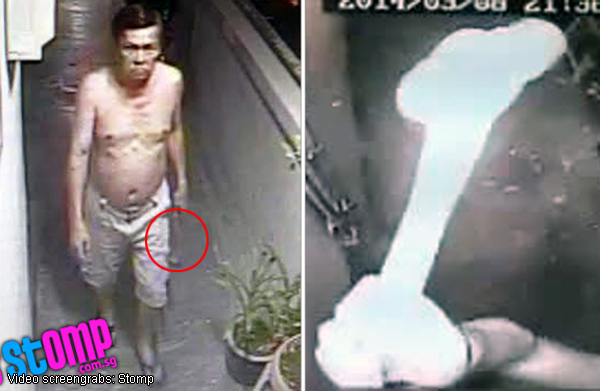 Mr Koh, 60, admits to smashing his neighbour's CCTV with a hammer. Koh, a lorry driver, knew that what he did was a crime. 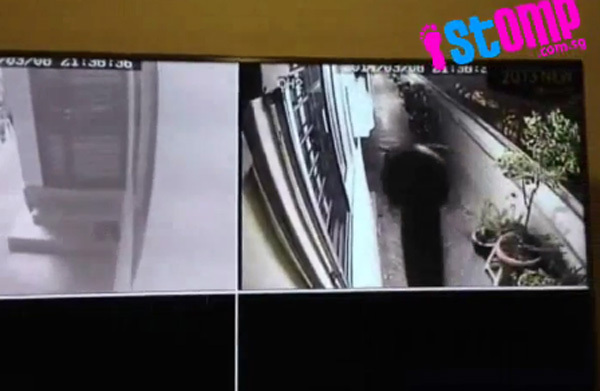 Optometrist Richard, 36, said he managed to retrieve the video footage from the CCTV cameras which were smashed by his neighbour. Richard also said that the neighbour has smashed his window and burned his CCTV camera with a joss-stick on previous occasions over a dispute about placing potted plants in the corridor. "Even the space outside my flat was taken up, and I was unable to place my own things or plants there. So I reported the issue to Town Council", said Richard. Richard only recently moved into this flat, and saw that neighbours on both sides of the unit had placed lots of plants along the corridor when he went to view the place. He added that Town Council then followed up with the issue, and told him that they had told both neighbours to remove their items and plants from outside his flat. However, Richard noticed that only one neighbour complied with this, but one did not and his items and plants remained where they are. He said, "When my flat was being renovated, the contractor called to saw that one of my windows had been smashed, and advised me to make a police report." 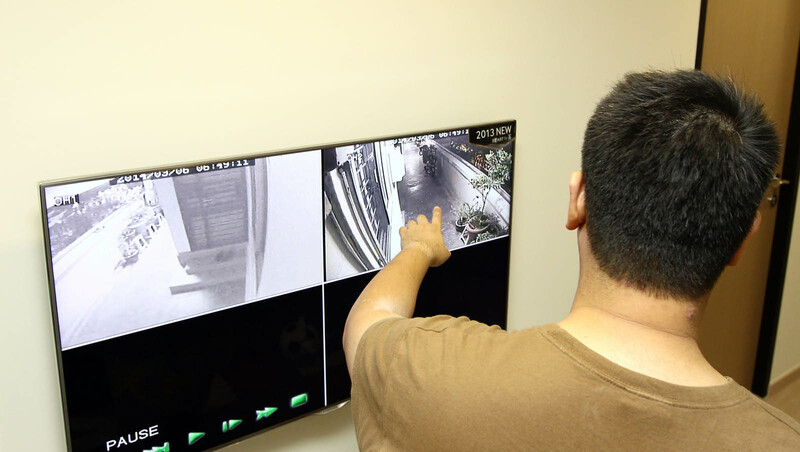 "After I moved in, I installed two CCTV cameras along the corridor, both watching the two windows along the corridor. 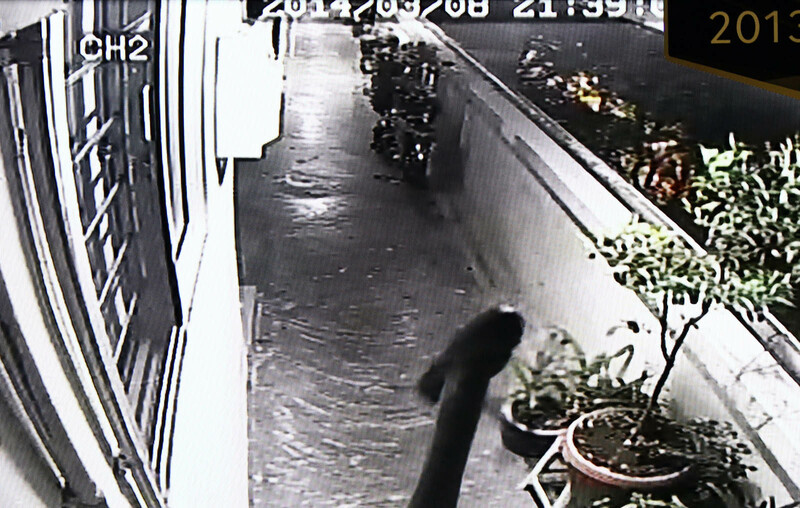 But on Thursday (Mar 6), the neighbour tried to burn the camera with a joss-stick. 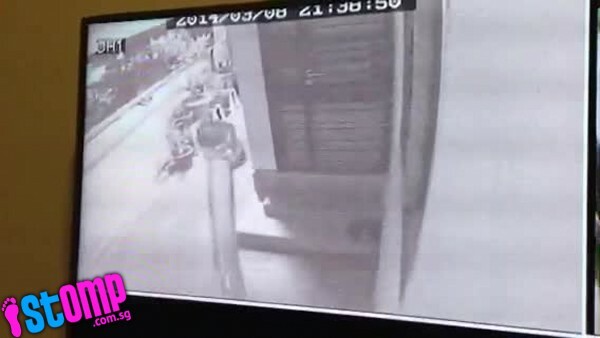 And on Saturday (Mar 8), CCTV footage shows him smashing the cameras with a hammer he was carrying. The conflict is believed to have started after one accused the other of stealing her shoes and flowerpots. That neighbour, in turn, has accused the first neighbour of encroaching on her corridor space. 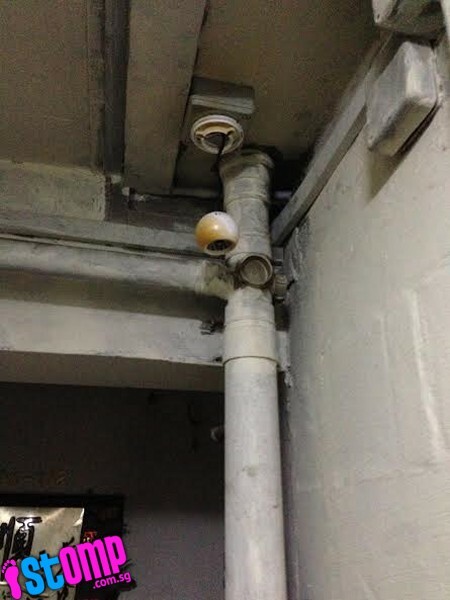 Both sides installed closed-circuit television cameras (CCTV) pointing at each others' units. Both attended a mediation session, but the matter has not been resolved. On Nov 15 last year, the two confronted each other at the corridor. 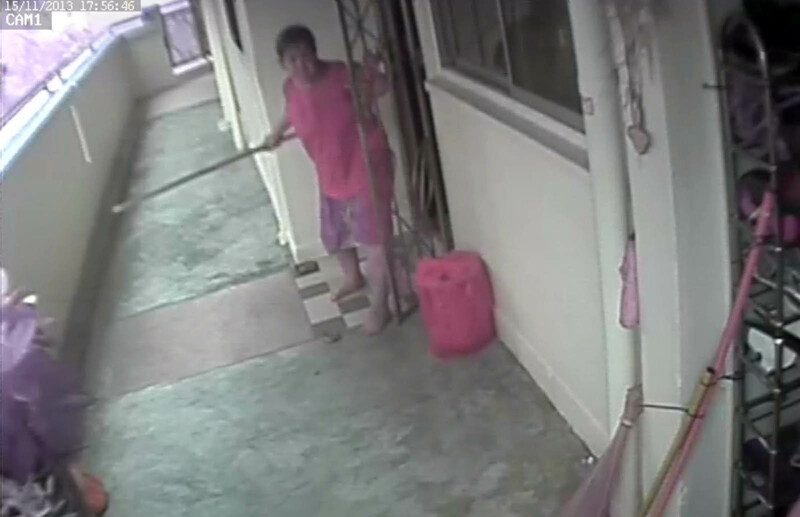 CCTV footage showed Madam Tan swinging at Madam Kamachee with a 1m-long metal rod while Madam Kamachee was seen gesturing rudely at Madam Tan. 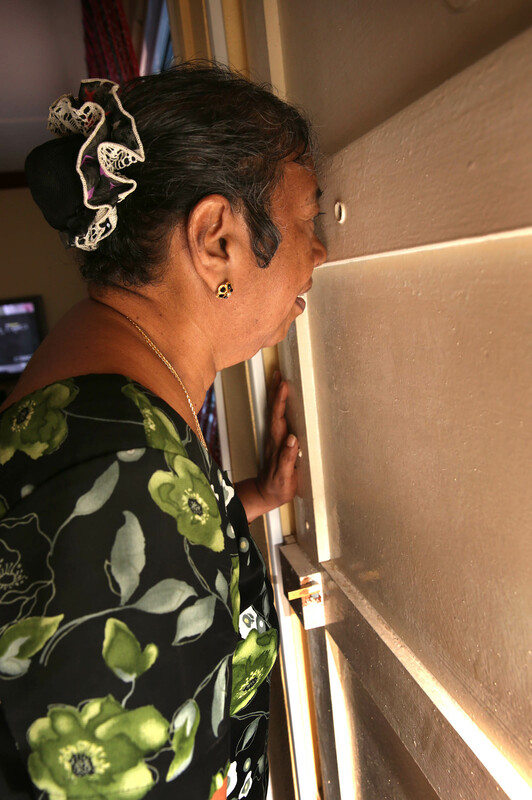 Madam Tan took out a 1m-long metal rod and allegedly challenged Madam Kamachee to a fight. 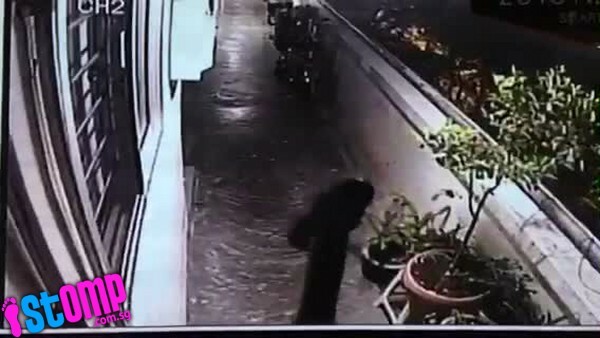 Madam Kamachee Grishnasamy accuses her neighbour of stealing shoes and flowerpots, cutting her son's bicycle chain, and pouring ash all over the common corridor. 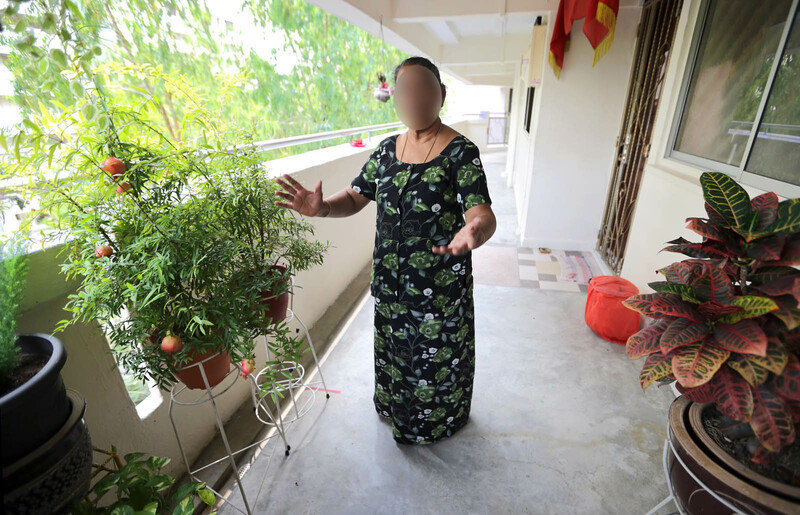 She claims Madam Tan Siew Ngoh, a retiree, also poured a liquid that smelled like urine and kerosene on the corridor. A police spokesman also confirmed that multiple reports had been made by both sides. The neighbours have been warned by the police. 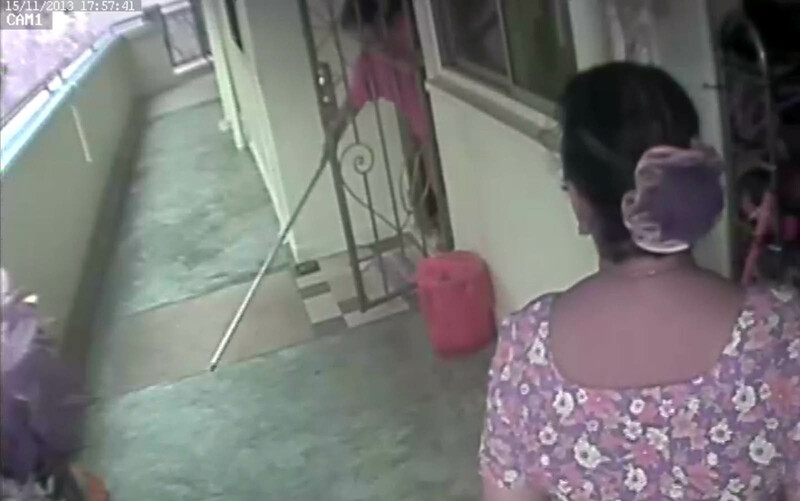 Madam Tan accuses her neighbour of pouring water in front of her door and windowsill, as well as putting flowerpots on her side of the corridor. 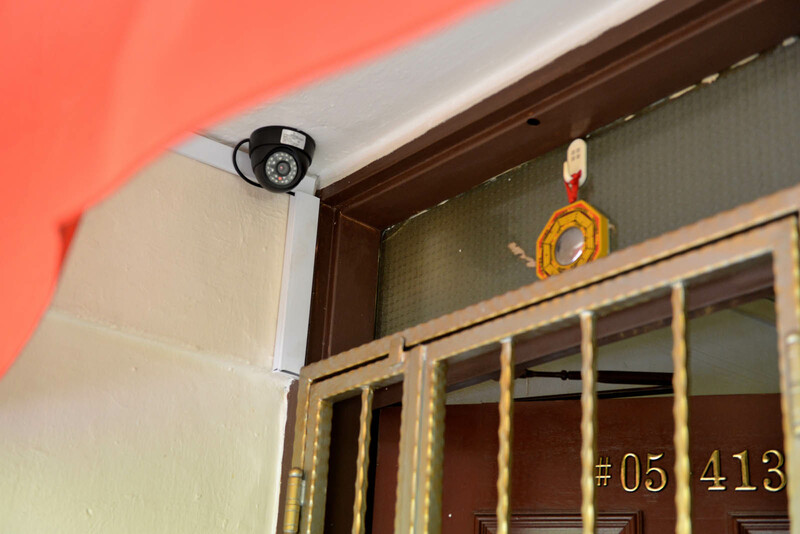 Madam Tan also claims she felt stalked by her neighbours, who allegedly use vulgar language her when they see her.